I met this amazing artist while working on a treasury for Etsy; Ray Koshy owner of Museum Shop does not work in paints or ink but in straw and leaves. 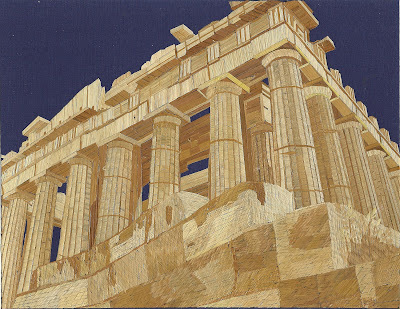 His work is so unique and very detailed, it is truly amazing at how many different shades there is of rice straw. I fell in love with a piece he had done of Bill Cosby and he was very gracious to offer my readers a wonderful giveaway. I am sure Ray will do a much better job at describing his art than I would so he has provided us with the following interview. And Don't forget to enter the drawing at the end for his wonderful giveaway gift. Information about Rice Straw Art. 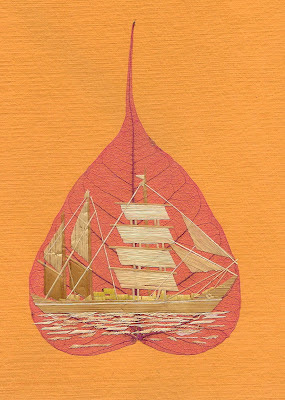 Rice straw art is an ancient & Endangered form of leaf art. 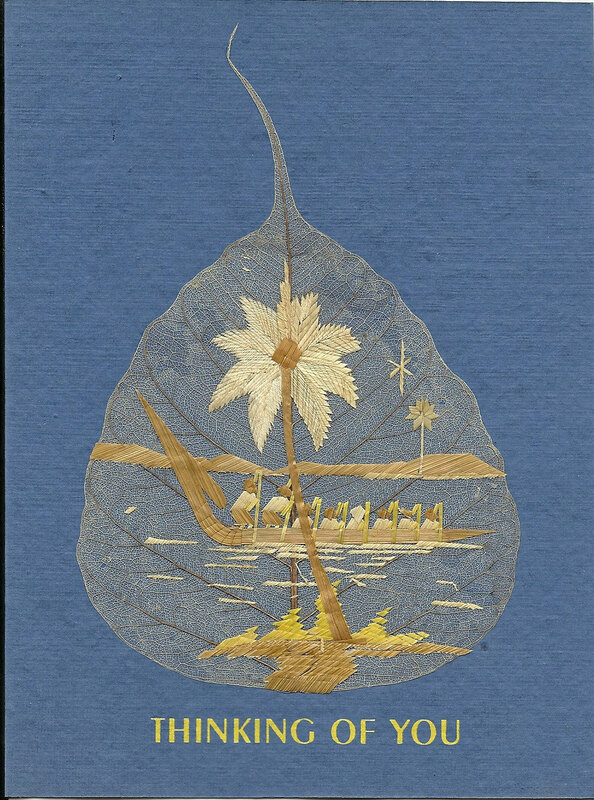 There are only about 100 artists practice this unique form of leaf art worldwide & that is why it is considered an endangered art. It origin goes way back to hundreds (may be thousands) of years when people didn't know how to make paints, colors or dyes. 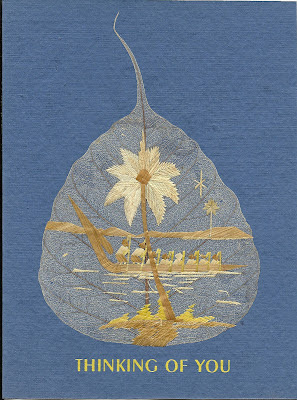 At that time people used the natural shades or hues of the rice straw (dried leaves of rice plant) to create art using the natural things available. For example the glue used in this art is gum arabic which is sap from a tree and sharp stones to open up, flatten & cut the rice straw. Lately we used double edged razor blades and a primitive arrowhead style tool instead of sharp stones. 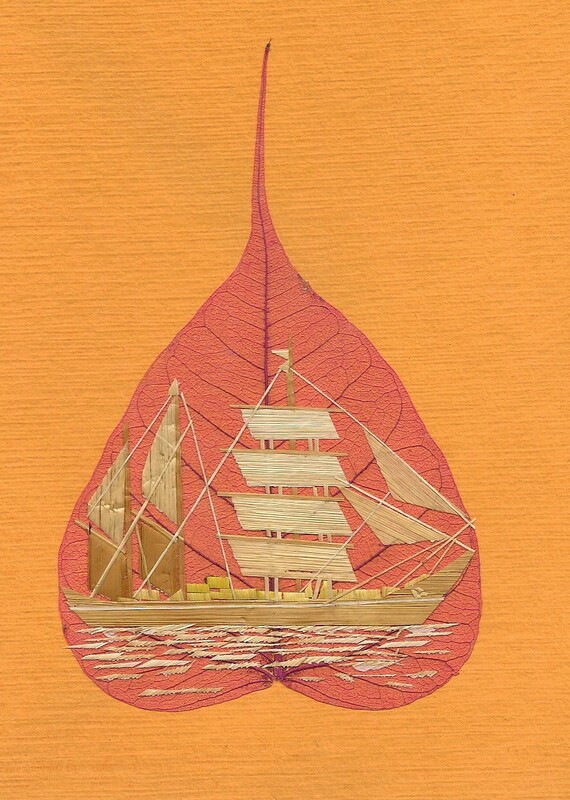 Other than that the artists still uses everything like in the old times, Everything natural for this ancient leaf art. The shades of rice straw goes from pale brown to golden brown and everything in between. No color, paint or dye added to the natural color of rice straw. Different colored rice straw is sorted out & separated and it is opened up and flattened out with the primitive tool. Select the right shade of straw and apply glue (gum arabic) on one side placed in position and cut with double edged razor blade. (I learned this art over 40 years ago staying with the masters, living with them for months at a time )This process is repeated till the work is completed. Some work take half hour and some others take weeks to complete. Some work has twenty to thirty pieces of rice straw and some others have three to five thousand of tiny pieces in it. Especially in portraits each strand of hair is over a dozen tiny pieces of rice straw. 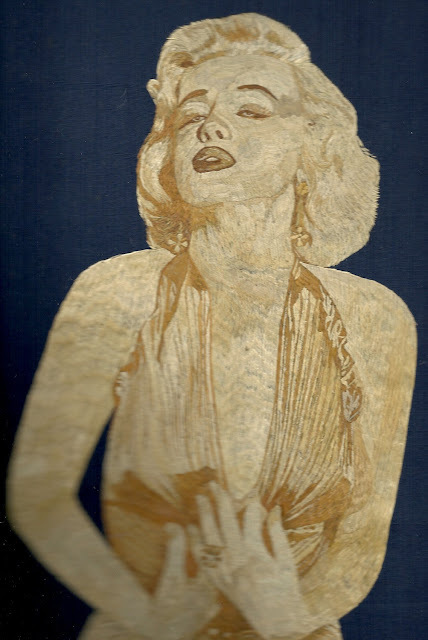 I have been doing this rice straw art over forty years and I have a collection of hundreds of pieces in my collection. I am an artist and curator of the Rice Straw Museum. Rice straw museum was a FREE museum at 501 23rd street in Galveston, Texas for several years in the past. I was paying the rent and all other expenses to run the FREE museum and later on I was unable to do it due to expenses. So I have that museum on the web on ETSY and I am selling some of my collection at this time. I did this due to my passion to Preserve, Promote & Protect this ancient leaf art from extinction and to introduce this beautiful, unique art to America & the western world. This ancient leaf art originated in southern tip of India thousands of years ago and in danger of being extinct due to less & less artisans learns it & practices it. That is why I took it as my job to learn it, practice it teach, preserve, promote & protect it from extinction. Few individuals learned it from me but it is very tedious & time consuming and so I don't know how many still practices it. 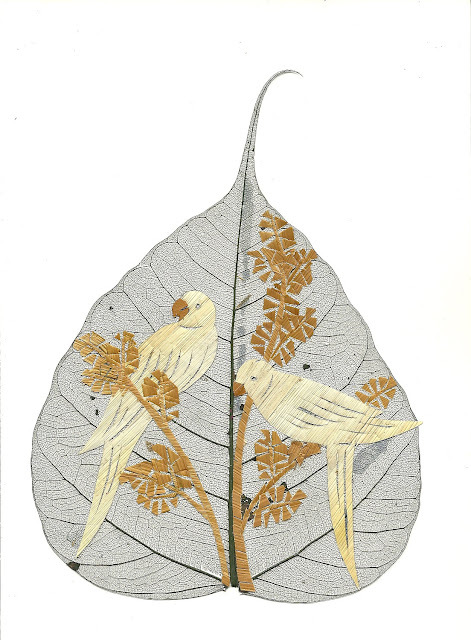 I get inspired from nature and I create birds, cats, dogs, people, ships etc with rice leaf and you can see my collection of leaf art at www.etsy.com/shop/museumshop. Ray's Giveaway is valued at $9.99 and he is offering both US and International shipping. Giveaway ends 6/22/2012 at 11:55pm. Love the Thinking of you card...they are all so beautiful though! Christina - xristya@rock.com I like the Unique Gift For Your Loved One Valentine! I love the cats especially http://www.etsy.com/listing/91034155/cat-lovers-dream-cat-by-the-flower. Cat seems to be judging the viewer as lacking. I have known cats like that! I also like the Love Birds-very unique artwork!